INTRODUCTION: Over the summer we have been focusing on gathering accurate and meaningful information which we are now able to present to you in this report/projection. This has been accomplished with a great deal of help from Ramanath and his abilities with Google Maps, Kalindi and Kavi with their drone, and a lot of walking. Please note that we are especially focusing on completion of the west side fence in 2018 and then completing the north and east side in 2019. This would then complete the entire fencing project. It has been a process taking 15 plus years. We are almost there ! This can be realized by utilizing the remaining laksmi in this years budget, $6000 in next years budget and perhaps a little extra in the 2019 budget. On the other hand, there is an excellent possibility that the cost of the north and east fence can be greatly reduced or eliminated via government lobbying and/or grant money. Central: All fences are complete! Some 15 years ago Pracetana wrote a paper and spoke at an AGM on the subject of beef cows in Saranagati. Her points were accepted and endorsed by the shareholders. It was acknowledged that fencing out the beef cows needed to be done and that it was a community/SVHI responsibility. It was further concluded that we needed to begin taxing shareholders in order to pay for the fencing , but we could not possibly pay for all of the fencing all at once, nor could we afford not to continue our lease agreement with Bob Pascoe, which gave us “farm status” and thus a big tax savings. The fencing fund and budget was thus begun. The subsequent Board of Directors gave me the assignment of Fencing Co-ordinator to develop a fencing plan and oversee the execution of the plan on behalf of the Board of Directors and answering to and reporting to the Board. Thus began the process some 15 years ago (approx.) I have taken this service very seriously and have given countless hundreds of hours of seva . Two years ago I started billing for some of my time because this service became so much more demanding and time consuming and expensive(gas money) Furthermore, upon dropping the Pascoe lease , we have had to prove legitimate farm status without the presence of beef cows. Coordinating and executing this aspect of the plan has required much more of my time and further expense. I am not financially independent and therefore have started to bill SVHI a minimal rate for my time. During this transition period while the fencing has not yet been completed beef cows still find their way onto our land and so for the past 4 years I have been very active in chasing the cows off and out. Previously, I have not been billing for this service but this year, starting in the spring, I began to do so. Initially, my service description was “fencing co-ordinator” and did not include the actual contract of building the fence. However, our efforts to find a suitable fencing contractor within our community or from the outside have not been successful and so my job description has gradually evolved to include construction as well. Frequently, over the years, a devotee will say, upon looking at a map of Saranagati, that we can simply measure the perimeter of the five rectangles and thus calculate the total cost and then just start building. This approach is an extreme over-simplification and results in an impossible plan. I have, therefore, had to many times, hike the perimeter boundaries of our land, inspect and follow old fence lines, scour old fencing maps, many times meet fencing regulators in their offices in both Kamloops and Merritt, organize on-site meetings with stakeholders ( Cook’s Ferry, Oregon Jack, range agrologist, and ourselves ) , purchase equipment, purchase building materials, and strategic planning … all of this must take place before even one post is pounded or one strand of barbed wire is strung. Once we are actually ready to build a section of fence, there is the matter of hiring a crew, co-ordinating volunteers, teaching fencing skills, providing machinery, tools, and supplies, “quality control” and finally on-going maintenance of the fence. We have understood from the outset, that as long as we were subject to the lease agreement with Bob Pascoe, we could not interfere with the free-flow of his cows. His cows impact us coming from the east side of our community. The west side of our land, however, is bordered by tenured rangeland belonging to the Cook’s Ferry Band. Since we had no such agreement with them, like we did with Pascoe, we could at least start building a fence on the west side.But even this required a great deal of time, spanning several years, to reach an agreement amongst the stakeholders as to where the fence would go. Keep in mind that none of us had any background or experience in fencing. It has certainly been a steep learning curve for me . Initially, we al thought that we could organize a big seva day and get a lot of fencing done very quickly. This proved to be an unworkable plan. While there is much that can be done by unskilled volunteers, fencing does entail experience, skill, and a fairly high degree of professionalism. A significant amount of work did get done on the west side but there is still more to be done – posts to be pounded and wire to be strung. But the urgency for completing the West side decreased when the Minnibariet’s discontinued keeping a herd, and so, we put further work there on hold as I wanted to save our limited funds for the east-side. At the AGM in 2012 shareholders voted to discontinue the lease with Bob Pascoe. This decision set in motion a whole new level of fencing prioritization. The easiest and most reasonable plan was to resurrect the old fence lines by replacing the old posts and old wire with new posts and wire. But this was not to be. Bob Pascoe would not cooperate and the government agency was crippled by internal issues. We are now on the sixth” Range Agrologist” overseeing our area out of the Merritt office. For each one of them I have had to arrange for them to tour our valley and bring them up to speed on the issues we face. Each of these meetings takes up the better part of a day. The north end of our valley is in the Kamloops District. The personnel in that office has also completely changed over the past several years. The two offices, Kamloops and Merritt, keep passing the buck for the responsibility of Venables Valley. Finally, the summer before last (2015) we managed to get both offices in sync and six government vehicles converged at Bhumi Farms for an on-site meeting. All of the officials agreed that my proposal for where the fences should go was a good one and they approved it. They even sent out a forest tech to ribbon and GPS where the fencing should go. BUT … they needed “First Nations” approval before they could give the final “go ahead” … months went by. I met with Jackie Teggart, our local MLA, on 2 occasions in order to get her help but her efforts were not fruitful. Bob Pascoe was playing his usual games of avoidance and ignoring scheduled meetings, and in the end, made it impossible to proceed as we had wanted. The current Rangeland Agrologist at the time was very pro-active on our behalf. He visited our valley many times, walking and GPS’ing old fence lines and proposed new ones. He took many photos of Pascoe’s cows illegally grazing on our private land, and untenured crown land. I assisted him on these occasions He made an in-depth report to his authorities. As a consequence, he was removed from his position for “stirring up trouble” He came to me afterwards, in an unofficial capacity, to tell me these things and he gave me his private phone number and he assured me that he would testify in court on our behalf if he was ever needed. Besides the above, we had other challenges, as well. Finding a responsible dedicated crew to do the actual fencing work also caused big delays. Getting approval for the cattle guards was a long drawn out drama taking many months, but work could not begin until that was resolved. Finally, “they” approved the location of the cattle guards and adjacent fence – then “they” changed their minds and insisted on a different location. Then “they” informed us that it would cost $30,000.00 for installing the cattle guard. Much more time went by as we fought a battle to have that cost removed. In spite of all of this, we have made significant progress. I see light at the end of the tunnel … and we have kept costs way down. The two areas in the south east where Pascoe’s cows entered the valley have now been completely sealed off with good fencing. The cows are now finding new routes into the valley further to the north. They are coming up over the mountain behind Lalasamayi’s place and down to the lakeshore. We are presently identifying those spots so that we can put fencing there. Besides identifying our vulnerable spots on the eastside of Lots 18 and 19, we intend to construct the east/west southern boundary fence this fall and then , again work on completing the west-side fence, hopefully finishing that before winter or next spring at the latest. This westside fence has again become a priority as Minnibariets have again introduced a herd of 45 cows. This will leave the north and northeast for the final push. This final phase requires more research before a final plan and budget can be put in place. It is a large area with rough terrain. Our intention is to identify key spots of vulnerability and fence only those spots, thus saving a great deal of laksmi. Realistically, the completion of this last phase will be accomplished 2 years from now – in 2019. 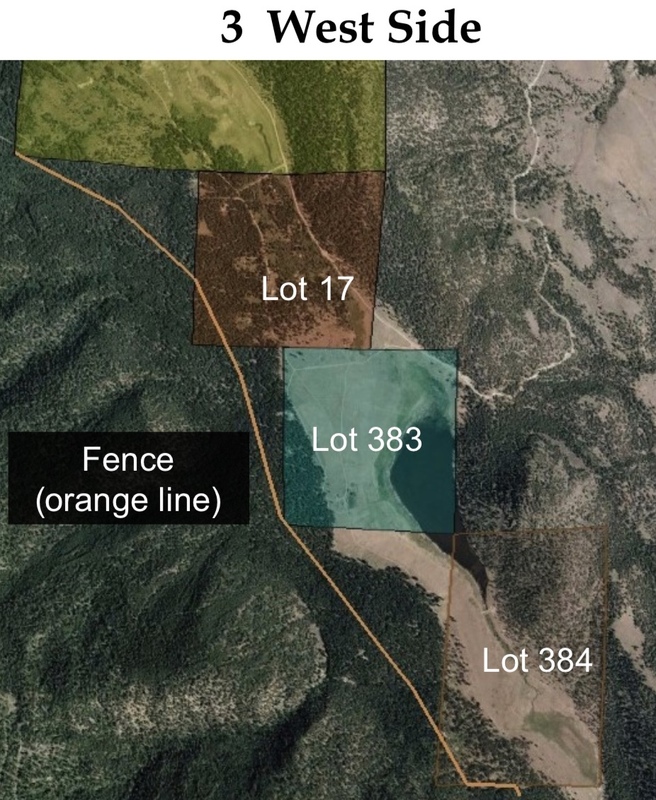 Also – this fall we will need several more meetings with rangeland authorities in order to finalize fence locations in the north end. We will also spend time this fall pursuing grants that could possibly offset some of the cost of the fencing. Brief history of fencing presented to the August SVHI meeting.